Minister J. Dwayne Heard is the Senior Pastor of the Elizabeth Missionary Baptist Church . Prior to being elected Senior Pastor in May of 2008, he served on the Ministerial Staff, and was Chairman of the Christian Education Ministry. He was licensed to preach on January 31, 1982, and ordained on July 16, 2000 by Elizabeth M. B. Church. Minister Heard served under the leadership of Bishop Jerome H. Ross, pastor of Triedstone Missionary Baptist Church , Columbus , Ohio , during which time he was on the Ministerial Staff, Sunday School Teacher, and President of The Voices of Triedstone. 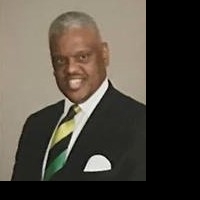 He also served under Bishop Vaughn McLaughlin, pastor of The Potter’s House Christian Fellowship, Jacksonville , Florida , where he was Director of the Stewardship Ministry, New Member’s Class instructor and served with the Music Ministry. Pastor McLaughlin ordained him as an Elder on September 28, 1988. Mr. Heard worked in the insurance industry for sixteen years. He was a Project Manager for Humana, Inc, Jacksonville, Florida; Vice President of Administration for Group Insurance Administration, Atlanta, Georgia; Manager, Quality Assurance, and Training for Qualchoice, Cleveland, Ohio. He has a solid managerial background with emphasis in training and development of Human Resources. He was founder of Guiding Light Ministries, and served as Pastor and Executive Director for five years. He is currently employed as Fiscal Manager for the Center of Community Empowerment . Pastor Heard is a member and Past President of the Baptist Pastors Council of Youngstown and Vicinity; was past Coordinator for The Center of Strength, and is currently the financial secretary of the Interdenominational Ministerial Alliance. He served on the Board of Directors of the Mahoning Valley Association of Churches, and Center for Community Empowerment; and vice chairman of the advisory board for the Lighthouse Christian College. He is the Past President of A.C.T.I.O.N. (Alliance for Congregational Transformation Influencing our Neighborhoods) , and serves on the National College of Presidents for Gamaliel Foundation. Pastor Heard is also the Dean of Congress Christian Education of The Eastern Ohio Baptist Association.